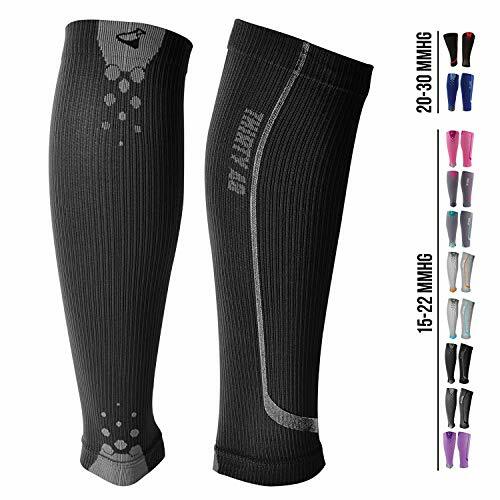 BEST COMPRESSION SLEEVES: Our high quality compression sleeves make a great addition to your workout gear for running, cycling, basketball, football, crossfit, weight lifting, and many other sports that force your blood to pump quickly. Thirty48 compression sleeves are available in 15-22 mmHg or 20-30 mmHg. Colors black/gray and blue/gray offer 20-30 mmHg for those who need a higher level of compression. 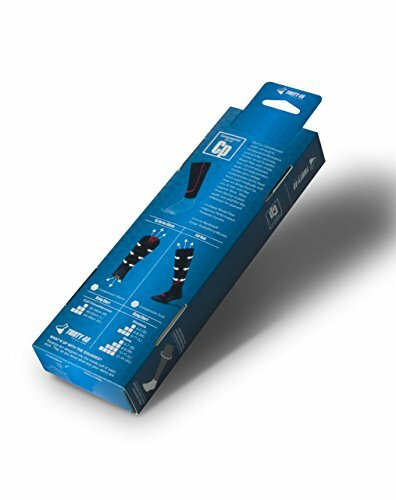 All other colors offer the more common graduated compression level of 15-22 mmHg. OPTIMIZES ALL STAGES OF YOU EXERCISE: During PRE EXERCISE, Thirty48 compression sleeves help to improve blood circulation for faster warm up. During EXERCISE, the sleeves assist in reducing muscle fatigue and damage. They also heighten agility and improve overall performance. 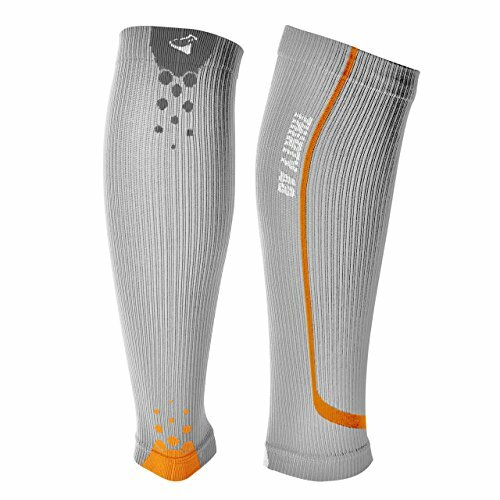 Lastly, during POST EXERCISE, our compression sleeves enable a faster recovery and decrease soreness. 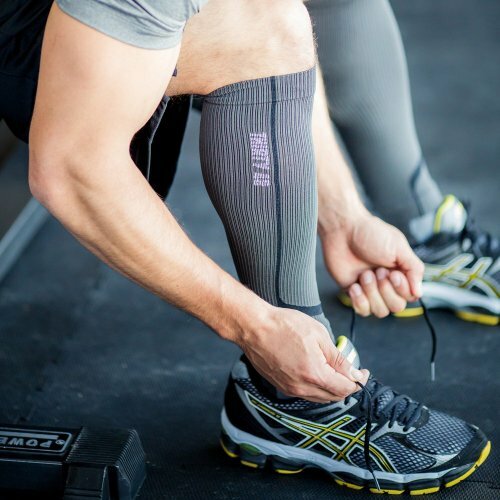 NOT JUST FOR ATHLETES: Thirty48 compression sleeves will sooth your legs and feet during air travel by improving blood circulation and by preventing blood clots. They are also great during pregnancy, for nurses, or anyone who is on their feet for prolonged periods of time. Additionally, our sleeves can be used to treat, and to help with symptoms of, varicose veins, metatarsalgia, ankle swelling, deep vein thrombosis (DVT) and other medical conditions. MOISTURE WICKING TECHNOLOGY: Each Thirty48 compression sleeve is made with CatalystAF, a patent pending technology which allows increased airflow within the channels of the sleeve's stitching. In combination with our COOLMAX fabric, be ready for an unparalleled feeling of cool, dry comfort that prevents any stickiness. QUALITY WITH A GUARANTEE: You can purchase our compression sleeves with absolute confidence. We think that you will love our sleeves, but if you are not happy for any reason, you are covered for the first 90 days with our satisfaction guaranteed policy. Our top rated customer service is standing by to answer your questions and resolve your concerns.